Trouble uploading your photo, Go Back to the home screen and select "Update Profile Picture" or try uploading it via the website instead. You can do this on your phone, tablet or computer. 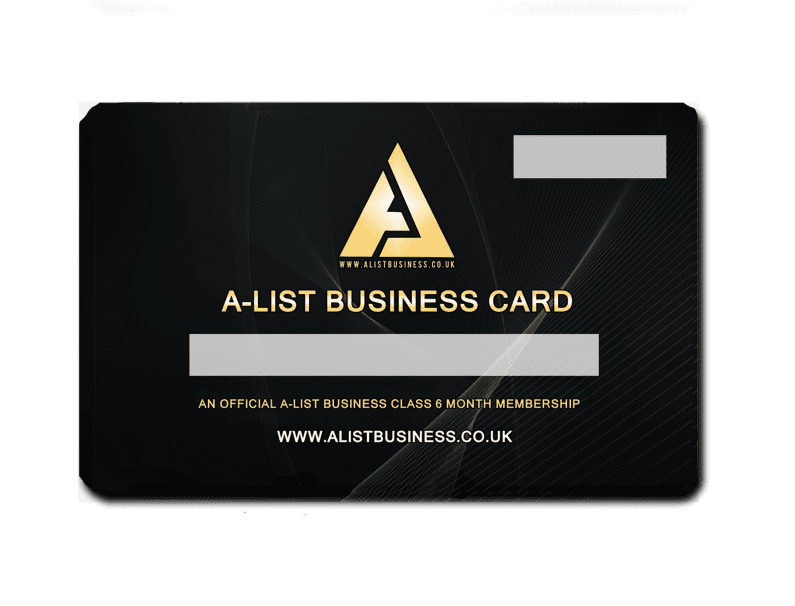 Become part of the A-List with an A-List Business E-Card, right in the palm of your hand! 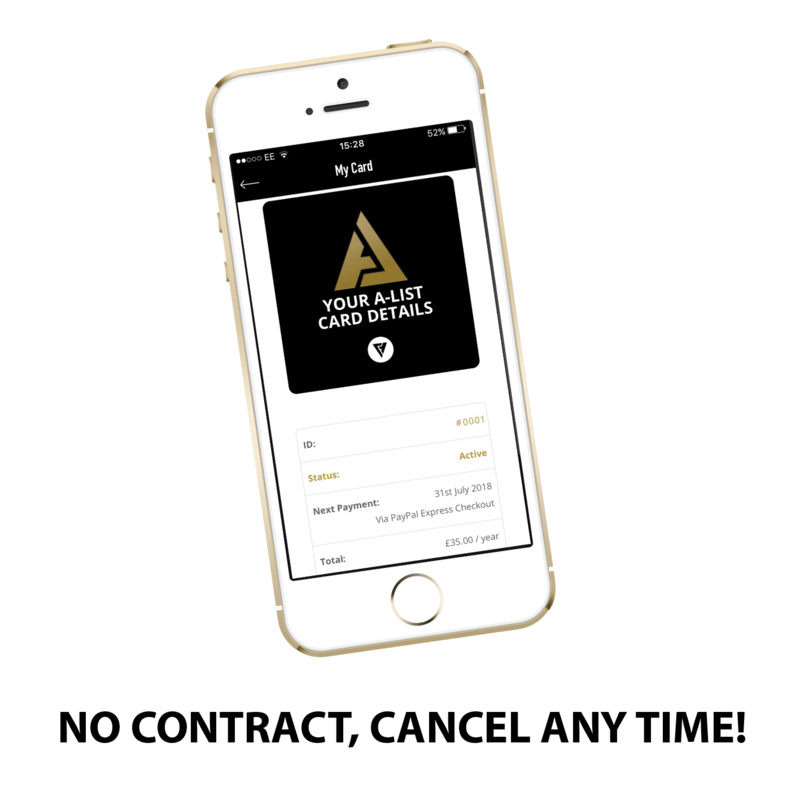 Your Monthly Membership E-Card will be accessible via our App or Website. We highly recommend downloading our App from Google Play or the App Store and logging in so that you can view our deals and use your E-Card easily on the go. Just search ‘A-List Business Class’. 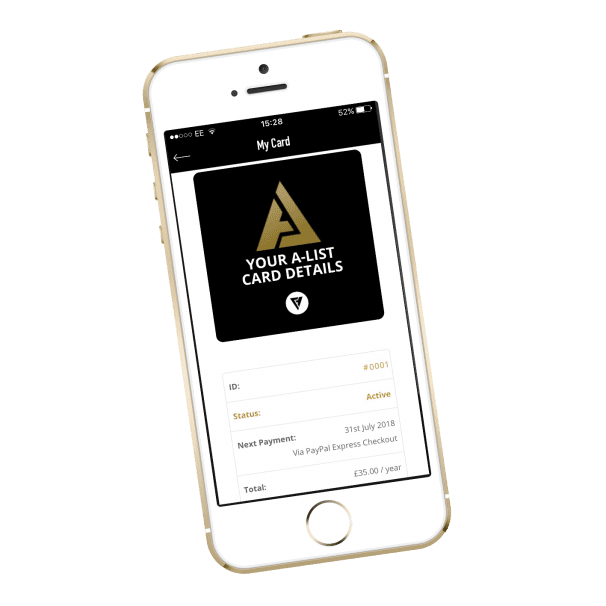 You can use your card from the moment it is purchased by presenting the gold flashing A-List Logo on your ‘My Account’ page. There is even a button called ‘View Card’ which takes you directly to the screen you will need to show your server when accessing a deal. Easy as 1 2 3! A-List Business Class Existing member verification will take up to 24 hours to be confirmed. Exsting custmers switching to the app card after 2pm on a friday will have to wait up to 24 hours for confirmation. Trouble uploading your photo via the app, then try uploading it via the website instead. You can do this on your phone, tablet or computer. Still having trouble? Just show your a-list id when you are logged in accompanied with another form of ID that you hold. Terms and conditions: You must present your card before accessing the deal. You may need personal ID as well as your card to access the deal. Your card is not accepted as Proof of Age. Permits one person per card unless stated otherwise. Only the cardholder is permitted to use the card. If there is ever any confusion, please speak to a manager or event manager politely. Not to be used in conjunction with other offers.